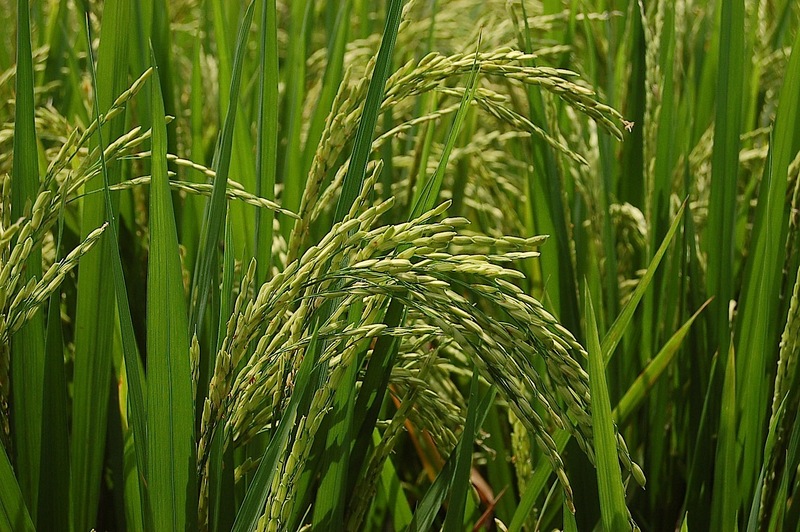 Rice Cultivation is one of the popular method for ensuring food security in the world. 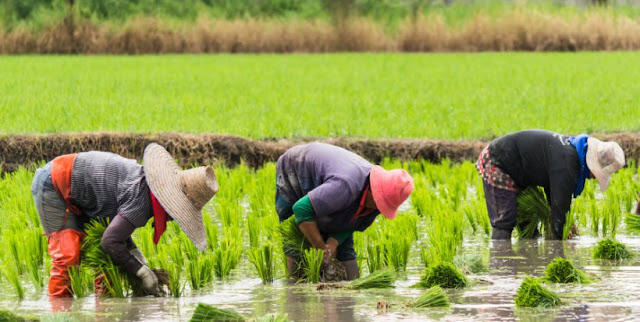 China has developed a drought resistant rice breed and its farming method. This can only be achieved if we plant the best and climate resilient variety, hence the trials," said Kompeli. Chinese agricultural experts deployed at the project extension under the South-South Cooperation agreement between China, Food and Agriculture Organization and Namibia are at the helm of this transformation. Chinese expert Deng Zhengrui said that the 15 rice varieties under trial are from China, a country renowned for rice production. "From the 15, we will identify the two most adaptable Asian varieties," he said. The process leading to the trials was extensive, according to Deng. "We had to provide extensively train local technical workers at the project on all processes including land preparation and technology usage ahead of implementation," added the expert. In the interim, an irrigation system and wet shade is being engineered on 0.2 hectares of land at the project for this purpose, and is expected to be expanded to one or more hectares of land overtime. A China developed drought-resistant rice variant and its farming method that have been introduced to nine countries, mainly in southeast Asia and Africa, according to an agricultural academy in east China's Anhui Province. Dr. Wang Shimei, of the Rice Research Institute of the Anhui Agricultural Academy, said the plantation area of the Lyuhan No. 1 (Green Drought) rice breed had reached 2.3 million hectares in China. Wang said the breed was first exported in 2009 to Angola. Plantation has reached 10,000 hectares in the country since then. The rice has also been planted in countries such as the Philippines, Cambodia, Pakistan and Cameroon. Approximately three out of four people in developing countries such as Namibia live in rural areas. The majority of these rural poor’s livelihoods depend directly or indirectly on agriculture. Therefore, there is an urgent need to design agricultural programmes that focus on rural communities in order to reduce incidences of poverty. According to Food and Agriculture Organization (FAO) stated that although the Namibian Government invests in the agricultural sector, hunger for both humans and animals were evident since 2012. The starvation situation was worsened by high food prices, compounded with a high unemployment rate that meant the majority of the population could not afford to pay for food. Evidence shows that Namibia is a net food importer; meaning that less local food production is taking place. Therefore, the government is trying to reverse the situation of relying on imported food, by enhancing local production, and one of the ways of achieving this goal is through the Green Scheme Programme. The research problem of this study is defined as follows: “An evaluation of the Green Scheme Programme: A case of the Kalimbeza Rice Project”. The study commences by exploring the literature on the role of the state in improving the socioeconomic status of its citizens. Many developing countries have weak private sectors; therefore, governments remain with the responsibility to spearhead development. With unrestrained unemployment, poverty and inequality, state-led development is the solution in uplifting the socio-economic status of people, especially the rural poor. Since the rural poor depend on agriculture for their livelihoods, it is necessary for Government to devise Sustainable Livelihood programmes in the sector, which many people rely upon for survival. Reducing incidences of rural poverty calls for Sustainable Livelihood programmes that the Namibian Government came up with, such as the approximately N$ 1.2 billion per annum Green Scheme Programme. This is an irrigation programme that aims at increasing agricultural production, contribute to the Gross Domestic Product, promote food security, create jobs and promote skills development. The study sought to establish whether the Green Scheme Programme is effective in achieving its intended, and at times, unintended goals. The Kalimbeza Rice Project, under the Green Scheme Programme was chosen as a case study. Evidence from the study shows that employment creation took place, because many locals have secured temporary jobs at the farm, and the salaries earned have had a positive impacts on their lives. Food security has not been fully achieved, as only about 25 per cent of the total farm area is cultivated yearly. Finally, the study suggests that there is an urgent need for the Green Scheme Programme and all its projects to speed operations in order to achieve the country’s Vision 2030.